Multiple myeloma, it is a type of blood cancer of the plasma cells in the bone marrow. This is a very rare type of cancer, which affects the blood cells and bones. The disease becomes incurable in advance stage where there is treatment available to deal with this disease. People can go for myeloma treatment through the conventional way or they can choose to take alternate treatment like homeopathy or Ayurvedic. The main target of all these method of for myeloma treatment is to give relief and aim to cure the patient who is suffering from this disease. However, all the method differs from each other. In conventional method of myeloma treatment, there are several types of drugs, which are used for the treatment. They are taken either alone or in combination as suggested by the doctors. All the types of treatment through conventional treatment have been divided into several groups they are Initial or induction chemotherapy, maintenance therapy, consolidation therapy and salvage therapy. Each drug targets to kill cancer cells though in different ways. Chemotherapy is known to kill the fast growing myeloma cancer cells while it also harms normal cells and it has its share of side effects. Targeted therapy is used to block the unnatural growth of myeloma cancer cells, it also block the action of the M-protein in the body which induce the growth of cancer cells. Steroids are also used to treat myeloma cancer, as it is believed that steroid is helpful to kill the cancer cells. It can be used alone or in combination with other drugs to treat myeloma cancer. The drugs are to be taken orally or through a vein. Stem cell transplant is modern way of myeloma treatment. This is the most advance form of treatment, which is better than the other conventional treatment available; however, this is a costly affair. This treatment will need the patient to take high dose of drugs, which would destroy both your normal blood cells as well as the cancer cells. 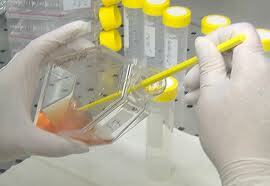 After that, the patient would receive through his vein the healthy stems cells like the case of blood transfusion. This new stem cells helps to develop new health blood cells and replace the dead ones, which were destroyed by the high dose of drugs. Mainly done in hospitals, a patient may have to take two or more stem cell transplants. These stem cells may come from your own body or somebody else may donate the same as per requirement. The process, which would require your cells, is known as autologous stem cell transplant and an allogeneic stem cell transplant is the one, which uses the healthy stem cells of donors. A synergistic stem cell transplant is the one that uses stem cells of an identical healthy twin of the patient. For myeloma treatment stem cell transplant can be done through two ways -- one is peripheral blood stem cell transplant and the other is bone marrow transplant.